Xiaomi Redmi 5A is an entry level smartphone with good appealing specifications, pocket friendly price and I bet, you won’t regret getting one for yourself. 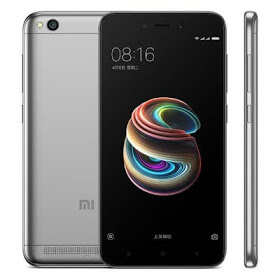 Xiaomi Redmi 5A comes with 5.0 inch HD IPS display built on Qualcomm Snapdragon 425 CPU clocked at 1.4Ghz, coupled with 2GB of RAM and 16GB of internal storage (expandable). It boost 5MP front camera + 13MP rear camera. It will run MIUI 8 (upgradable to MIUI 9) based on Android 7 nougat out of the box and packed with 3000mAh battery capacity. What is your saying about the phone does the specifications listed above worth the price? Please do let us know via the comment box.